Located in Birmingham City Centre, Britannia Hotel Birmingham New Street Station is within a 5-minute walk of popular attractions such as Bullring Shopping Centre and Chinese Quarter. This 241-room, 3-star hotel welcomes guests with conveniences like a bar/lounge, express check-out, and a 24-hour front desk. For your convenience, a full breakfast is served for a fee on weekdays from 7 AM to 9:30 AM and at weekends from 8 AM to 10:30 AM. Order from room service to satisfy your hunger without leaving your room, or make new friends over drinks at the bar/lounge. 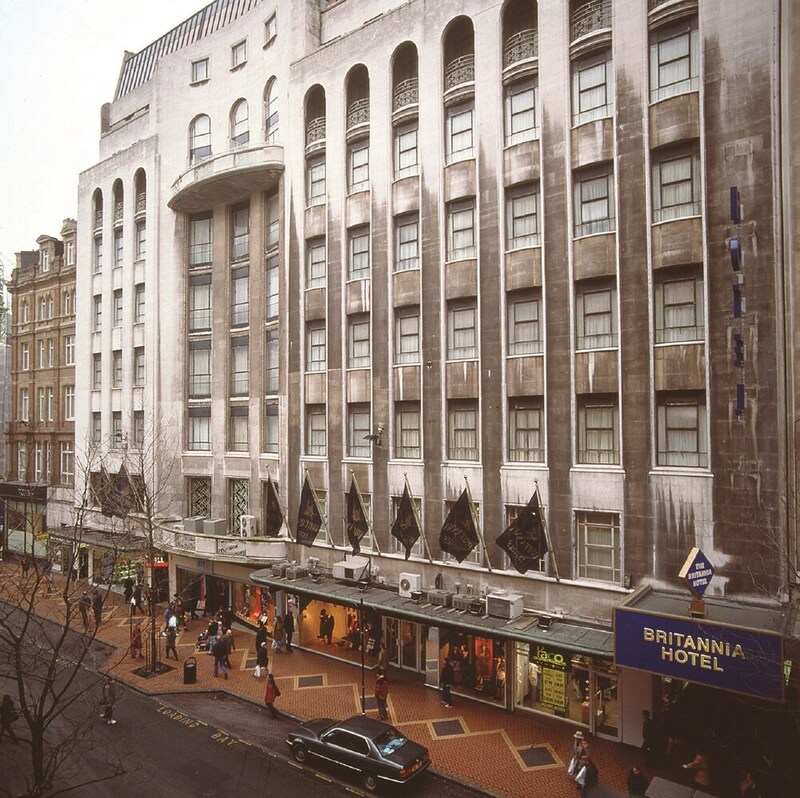 Britannia Hotel Birmingham New Street Station's 241 rooms provide coffee makers and phones. For entertainment, guests can expect to find TVs. Rooms also include hairdryers. Guests staying at Britannia Hotel Birmingham New Street Station enjoy free WiFi in public areas, express check-out, and reception hall. The front desk is staffed 24/7 to help secure valuables, and answer any questions about the accommodations. Britannia Hotel Birmingham New Street Station features room service (during limited hours), express check-out and a safe deposit box at the front desk. 9 meeting rooms are available. Wireless Internet access is complimentary. A bar/lounge is on site where guests can unwind with a drink.